I grew up hearing ghost stories as everybody has I’m sure, but I was always fascinated but still skeptical as I figured they were all made up! Until my own personal experience. In 2003 When I was 21 I moved to the mining town of Kalgoorlie Western Australia with my then-boyfriend. We quickly meet a young crew we partied with every weekend. One of the Crew owned an old 2 story place which was originally the York Hotel 100 years ago. It had been turned into 5 apartments, and by turned into I don’t mean renovated at all! They were very old rooms and nothing had been fixed up. He offered us the top apartment for next to nothing rent. We accepted and moved in. He would tell us about stories of the place being haunted and that he had seen the ghost of a woman sitting on the end of his beds several times but this never bothered him. The first week we settled in fine! Drinking and partying. Then very strange things started to happen. One day I was sitting up stairs in our lounge room reading my book and listening to my stereo (which was up very loud) the next minute I felt like I was being watched and I froze, and then the stereo turned from max to silent in 1 second. I turned it back up again and within 10 seconds the knob turned down again to silence. I absolutely froze for a while then ran outside and waited the 2 hours till my partner got home. As expected he just laughed and said I was imagining things. A week later we were asleep but were woken by very loud running footsteps through the lounge room (which our bedroom was joined to by a very old solid shut door) and then the door flung open like someone had ran into it! It made the biggest crack noise into the wall of our room, my boyfriend & I jumped 2 foot in the air and was so terrified. He believed in ghosts from this day on. A week later I walked through the lounge room & went to bed. The next morning I got up & walked through the lounge room to find a candle that was given to me for my 21st & never ever had been lit on the wick ever was sitting on the mantle piece and was completely melted down to nothing but the wick was still alight. I walked in & started abusing my partner as I wanted to keep this candle for a while; he bluntly denied any responsibility to lighting it as he was in bed before me the night before. I replied “What? That room up there?” this was the lounge room next to our room where all the strange things happened. Chills went down our spine and we refused to stay there that night. The next day we went back & collected all our things, that was the end of me trying to be tough! It was completely haunted and it was the scariest thing I have ever encountered! 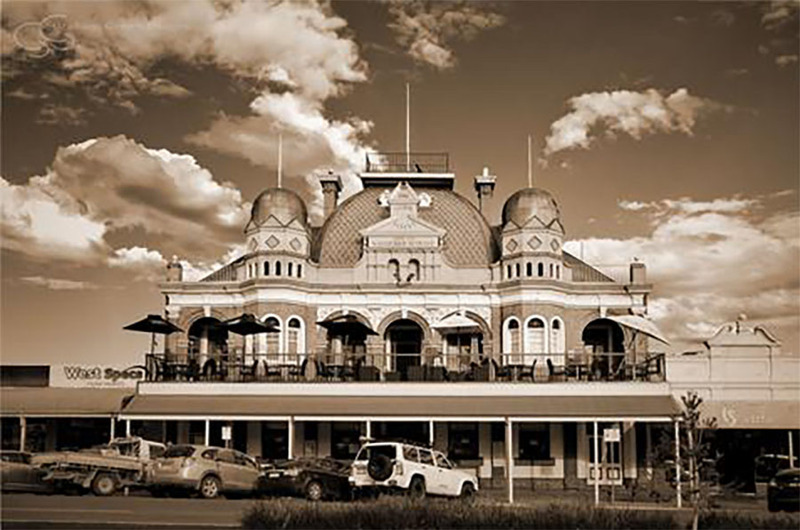 I still live in Kalgoorlie and drive past this old hotel every day. I still look up at the lounge room window & get chills.